Our founders Lui and Tony Peressin started building high quality in ground concrete swimming pools over 40 years ago. Since the early 1970’s, Peressin Pools + Landscaping has built thousands of concrete swimming pools and spas for our clients across South Australia, establishing us as one of the largest concrete swimming pool builders in South Australia. We are proud that after 40 years of building swimming pools and spas we are still a family owned and operated business and our 73 year old director Lui Peressin is still working with us. We specialise in offering expert design solutions and innovative ideas to all our clients, leading many to build more than one swimming pool or spa with us. Today we have over three generations of the Peressin family who will be working on your pool or spa. We are proud of our workmanship and ensure that our clients receive the highest quality custom built swimming pool or spa. Australia's most awarded swimming pool manufacturers and exporters providing a huge range of fibreglass swimming pools, lap pools, plunge pools, spas, concrete pools and custom designed swimming pools. Daydream Pools was conceived in 2006 by owners Dave and Danny. Dave and Danny have each been in the pool and spa business for over 20 years. In 10 short years Daydream Pools has developed into one of the leading concrete pool builders in South Australia. They have now won over 50 State Awards and 10 National Awards, not once but twice they have been judged best Pool and Spa in Australia which goes to show the quality of work we produce. Dave and Danny are hands on all the way while your pool is being built, giving you that personal touch. We design and build an extraordinary range of custom concrete inground swimming pools, spas, rainwater tanks, water features and private outdoor retreats. Learn more about our Services, Working with you and Our experience. View our Projects to see how modern architecture meets timeless nature in spaces created for your lifestyle. And of course, we're passionate about ensuring that water is used responsibly. Spa Covers By Pinz - When only the best will do When you want the best; our range of Spa Covers is the natural choice. Pinz is a leading manufacturer of spa covers in Australia and our spa covers are used as an industry standard for design and quality. We spend many hours rigorously testing materials and construction methods before inclusion in your new spa cover. Because of this exhaustive testing and our strong belief in the quality of our products we are able to offer exceptional extended warranties on all our spa covers. Welcome to Statewide Pools, we have been in business for over 20 years. Our company originated manufacturing and retail pool construction in South Australia, where today we are still the number 1 swimming pool company of choice. Head Quarters & Office location: Statewide Pools has grown from strength to strength in recent times. Our head office is located in South Australia where our main display centre is available for viewing. Values: Our company’s values have not changed since our first days in business, client satisfaction is priority and our dedication to quality control throughout the entire process is relentless. What makes us Different? 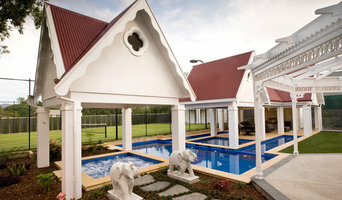 Statewide Pools is unique in many ways to other Australian manufacturers and builders. We are the only manufacturer of fibreglass swimming pools who specialize in both fibreglass and concrete pool construction. This gives up a unique perspective over our competition, as we are able to provide our customers with an un-bias opinion between fibreglass vs concrete. We provide a complete turn-key solution for our clients; you are able to deal direct with Statewide Pools (Company) for the entire process… Concrete or Fibreglass in SA. Manufacturers: We are Australian leaders in the production of Composite Fibreglass Swimming Pools, our main manufacturing facility is perfectly situated and designed to supply our dealer network with fast, efficient and quality swimming pools. Our Founder and owner have more experience in the actual process of Composite Fibreglass Manufacturing than any other in Australia, personally over-seeing the manufacture of your pool himself. Using the latest technology, resins, and industry know-how, rest assured your pool is built to the highest standard. In 1977, the late Wally Zagrodzki established Mermaid Pools – now one of Adelaide’s oldest and most respected concrete pool building companies. Wally’s commitment to quality and fine workmanship was passed on to his son-in-law, William Koronis who has run the business since 1989. Together with his brother Ted, and sons Adrian and Justin, the rich heritage of the Mermaid Pools family continues. Over 35 years and three generations, the team have earned a reputation for innovative and unique designs to exacting standards. Their applications of the latest technology to quality construction have culminated in a multi-award winning company. 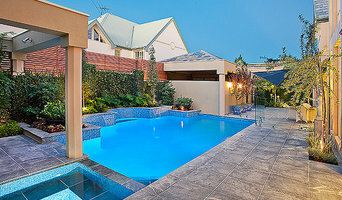 Adelaide Pool Inspections is the trading name of Martin Cooper. Martin Cooper of Adelaide Pool Inspections Martin Cooper of Adelaide Pool Inspections Martin is an SA Licensed Builder who was specialising in renovating and remodelling Federation homes so as to give them 21st Century amenities whilst making them look more antiquarian than the real McCoy. To achieve this required not only good building knowledge and skills but the ability to think laterally so as to solve problems. On 1st October 2008 it became a criminal offence to settle on a property with a swimming pool or swim spa that did not comply with section 71AA of the 1993 Development Act; so as to keep him abreast of legislation Martin completed the Planning SA training and passed their competency test. Martin soon realised that making pools comply with the new requirements in a cost effective manner was going to produce some great challenges but it would also increase the protection of those least able to protect themselves. Since March 2009 Martin has been totally committed with Swimming Pool Child Safety Barriers compliance work and is now widely regarded as the leading activist. Martin believes his prime role is twofold: Keep his client out of jail Spend as little of his client’s money as possible If you are a vendor Martin’s focus will be on maximising the value and saleability of your property. If you are a purchaser or owner staying in residence Martin will focus on ascetics and usability. If you are a landlord Martin will balance current requirements with future ones. Once the required works have been identified the client can undertake/organise the remedial works themselves or Mi Services Pty Ltd can do it for them. Owned and operated by Tony Romeo, TG Excavations & Unique Pools has been in business for over 24 years. It is our expertise and extensive experience that makes us a leader in our field. We specialise in creating exquisite concrete swimming pools, cellars and underwater tanks as well as detailed excavations, site preps, base preps, concrete works, foundations, housing and additions. We can also provide paving and retaining walls and supply all the equipment needed for your pool. TG Excavations own all of the relevant machinery, trucks and equipment to accommodate your project, so you can rest assured that everything is taken care of from start to finish. Tony has been in the building industry for 32 years and employs only highly qualified and professional tradespeople to ensure work of the highest quality. Attention to detail is our number one priority, which guarantees our clients receive superior service with personalised results. We limit the number of pools we work on each year to make sure that our customers receive our undivided attention through the duration of their project. With a true passion for his work, Tony will always go the extra mile for his clients. Our customer referral speaks for itself! The TG difference is that we absolutely love what we do and are always up for a new challenge, believing there is no project too difficult for our capable team. Tony is also here to help you with your design, professional requirements and engineering, making sure every client is 100% satisfied with the end result. INSIDE Inside we offer a range of products to keep you and your family warm whilst also saving costs and the environment. Check out what's available in our online store and get in touch for more information and a tailored quote. OUTSIDE Make the most of your outdoor spaces all year round with our pool care systems, heating solutions and accessories. Check out what's available in our online store and get in touch for more information and a tailored quote. Australian and New Zealand pool builders continue to push the boundaries in terms of design. Infinity pools, for instance, are no longer reserved for top-end holiday resorts; and lap pools aren’t standalone additions to a backyard. You can now get your feet wet in an infinity pool, lap pool or swim spa that is an integral part of your Prospect, South Australia home design. And, with improved technology, there are more low-maintenance, energy-efficient and sustainable options available. Whether you’re at the beginning stages of planning a pool or spa, renovating an existing one, or just need upkeep assistance, there’s a Prospect, South Australia pool specialist on Houzz who can help. After council approval, your contractor will commence construction, which can take up to two weeks for a fibreglass pool and longer for a concrete pool. Some companies in Prospect, South Australia extend their services to pool fencing, landscaping and the coordination of trades for filtration and heating equipment, as well as pool cleanings, water testing, renovations and equipment replacement or repairs. Here are some related professionals and vendors to complement the work of pools & spas: Garden & Landscape Supplies, Landscape Architects & Designers, Building Project Managers, Landscape Contractors & Gardeners, Solar Power Contractors. 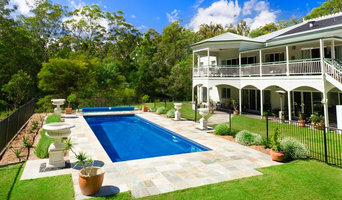 Find a Prospect, South Australia swimming pool and spa expert on Houzz.